Listing is for 1 pc. 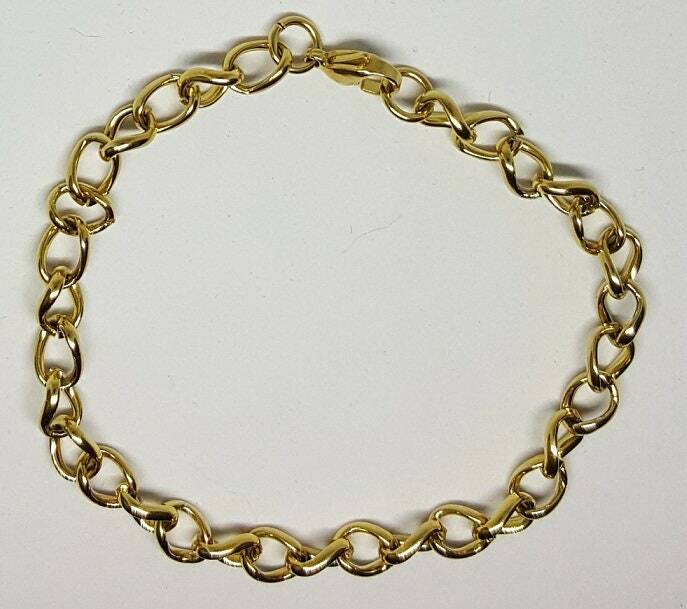 of 304 Stainless Steel Gold tone side twist chain with lobster claw clasp charm Bracelet. This Gold stainless steel charm bracelet is a great blank bracelet on which to add charms. This is a very strong and sturdy bracelet! I have charms available in my shop for purchase.